With an impressive RTP of 96.25%, this is one game that is designed with players in mind. Set in a mythical, fairytale world, it tells the famous story of the girl with the fabulous long, golden hair. Full of vibrant characters and sharp visuals, this is one game that will have you fully immersed in its world. Play online slot Rapunzel’s Tower for free and uncover the many superb features that the game offers. When you feel ready to play for real money, sign up for an exclusive welcome bonus available only here at QuickspinCasinos. Do you want to venture back in time to a land where fair damsels need rescuing from evil witches and locked towers? If so, then this is the game for you! Packed full of classic fairytale atmosphere but with a neat, modern twist, this is a treat to play. In terms of standout features, the always astounding Quickspin gameplay, storytelling and animation have to be mentioned. As well as this, the Free Spins and Wilds Stick Until You Win bonus games are also fantastic. Payout percentage: In theory, the payout percentage of Rapunzel’s Tower is 96.25%. Type of casino game: Video slot. Game features: Wilds Stick Until You Win Bonus Game, Free Spins Bonus Game. 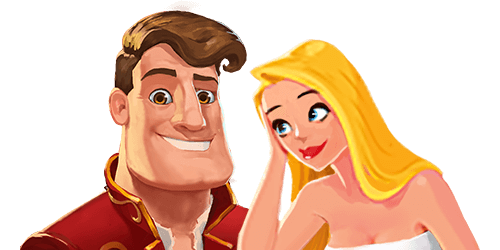 The base game of Rapunzel’s Tower is full of character and enough to keep you entertained for hours. 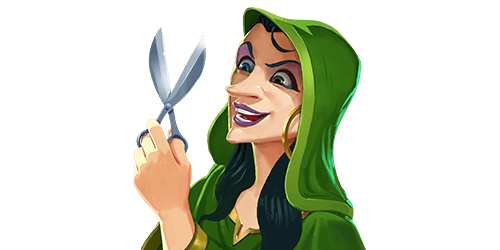 A crisp picture of Rapunzel casting her flowing locks is on the left of the screen to set the scene perfectly, and the symbols that come up include the wicked witch holding a pair of scissors aloft with which to cut off Rapunzel’s hair. Where this game really impresses though is the cutting-edge bonus games included. Both the Free Spins and Wilds Sticking games can really boost your winnings in the long term. When you consider that the Free Spin feature does this without costing you anything extra, they really are amazing. Read on to learn more about these fabulous features available in Rapunzel’s Tower. This superb bonus game is every bit as special as it sounds! If you hit this, you can look forward to quickly putting some extra cash in your bank balance. If you get three or more Bonus Wild symbols, then the Wilds Stick Until You Win feature is activated. This will mean that the symbols lock in place and the game will re-spin until you hit a winning combination. Hit this and watch the Prince race up the tower to free Rapunzel! If you get three scatter symbols, then a superb 10 Free Spins are yours for the taking. Each Bonus Wild symbol that appears on the spins will see the dashing Prince take one step towards the top of the tower. 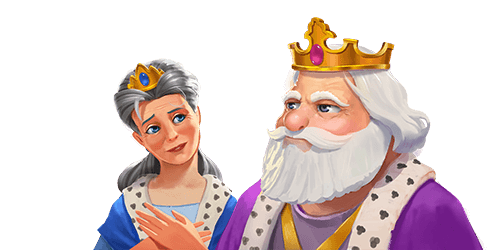 You can get additional Free Spins during the climb, and if the Prince does reach the top, the remaining Free Spins will be played as a x2 multiplier on all wins. The minimum betting amount on this game is €0.20, while the maximum is €200.00 per spin. The largest default win on a single bet line in the main game is a fabulous 1,619x your stake. This latest game from Quickspin is available on both your mobile phone and tablet. This means that you can join in the fun wherever you are! If you feel ready to get started, why not take advantage of one of our exclusive welcome packages? Some of our exclusive online casino clients have special ongoing deals for mobile casino players.